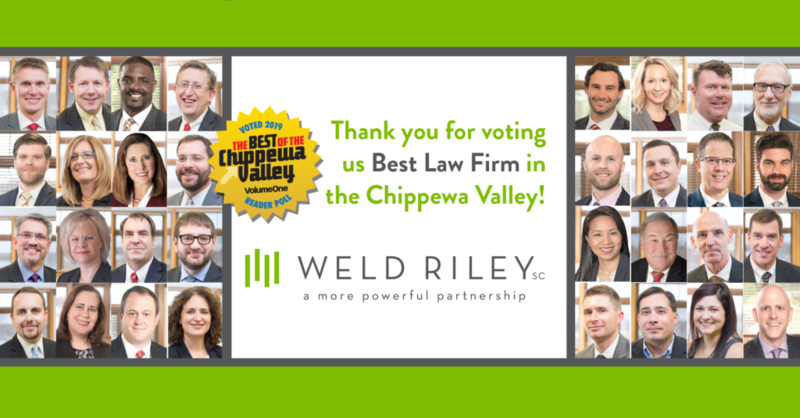 Weld Riley is honored to have been voted #1 best law firm in the Chippewa Valley in VolumeOne’s Best of the Chippewa Valley Reader Poll for the third year in a row! We appreciate your votes of support. Weld Riley, S.C. was formed in 1991 and is comprised of Litigation, Labor and Employment, Business, Estate Planning, Real Estate, and Government Relations Sections. The firm employs 78 people in its Eau Claire, Menomonie and Black River Falls offices.